May 16, 2016 – 26 years since Jim Henson (creator of characters from The Muppets, Sesame Street, Fraggle Rock and more) tragically passed away at the age of 53. 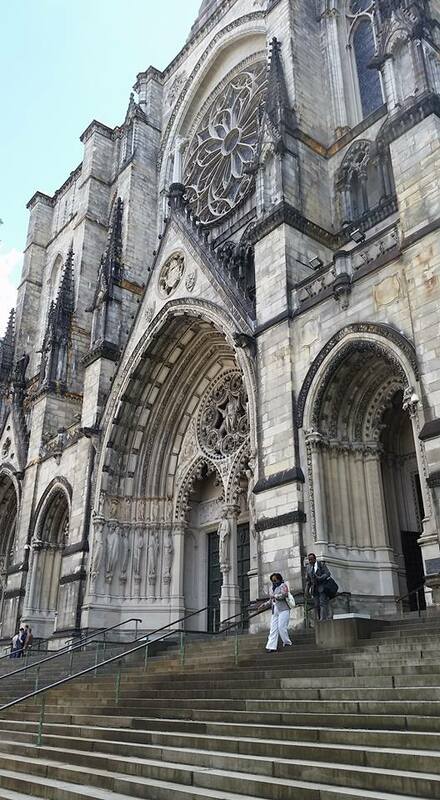 His memorial service was held here at the Cathedral Church of St. John the Divine in Manhattan, New York City. 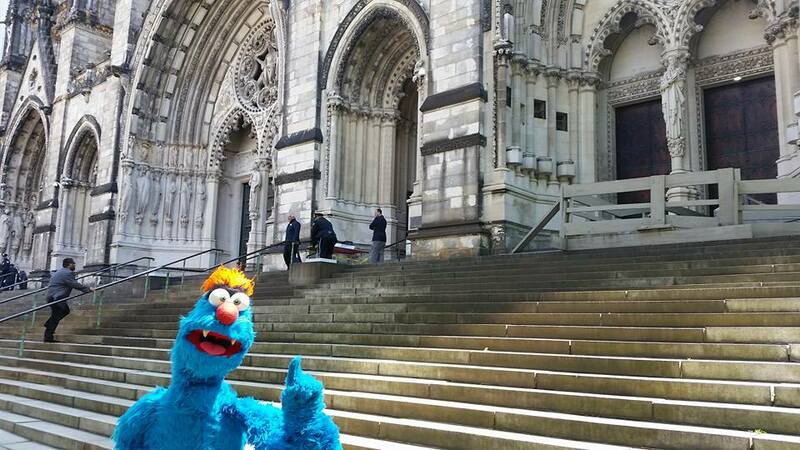 Our very own Troggg decided to visit the church and pay his respects to Jim Henson. After all, he is a major influence on Larrikin Puppets. 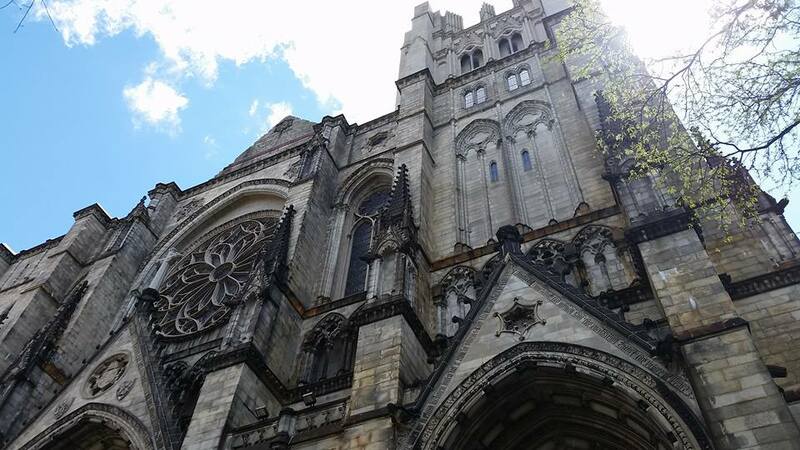 Brett and Elissa came along too, and were very much in awe of the spectacular gothic style buildings. 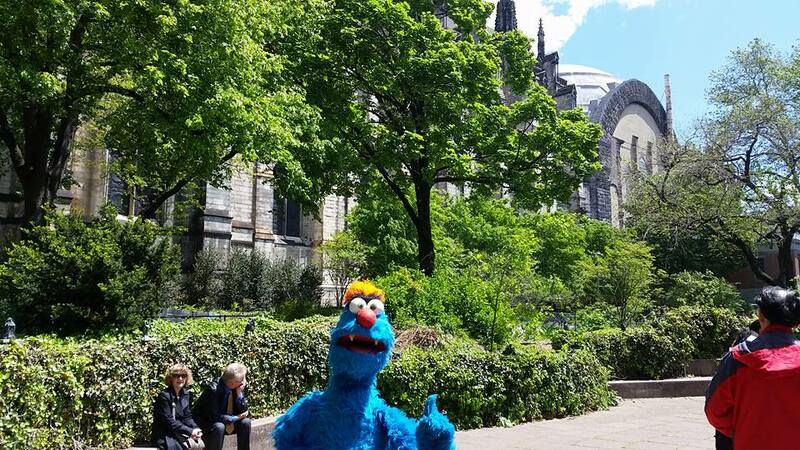 Many of Troggg’s Muppet heroes sung at this glorious old church at that Jim Henson Memorial Service – Scooter, Wembley Fraggle, Gobo Fraggle, Oscar the Grouch, Fozzie Bear, Big Bird, Gonzo, Bert and Ernie, Cookie Monster, everyone! 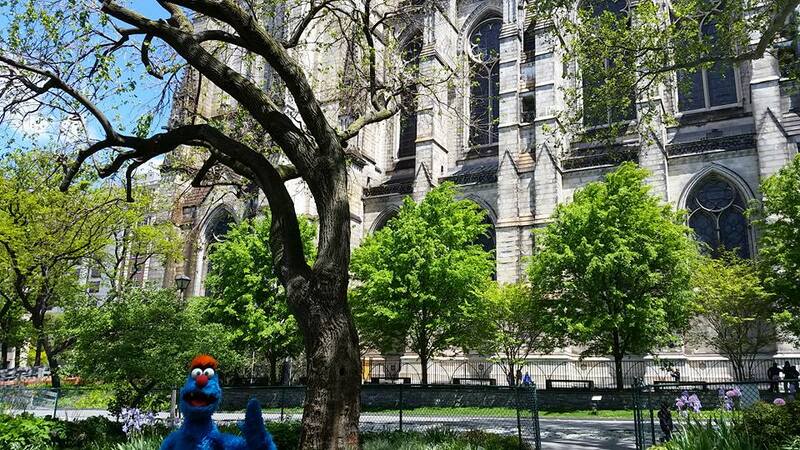 So even though Troggg is 26 years late to the memorial, he’s very glad to be following in those legendary footsteps with his little talk and song here today. In loving memory of the great Jim Henson. 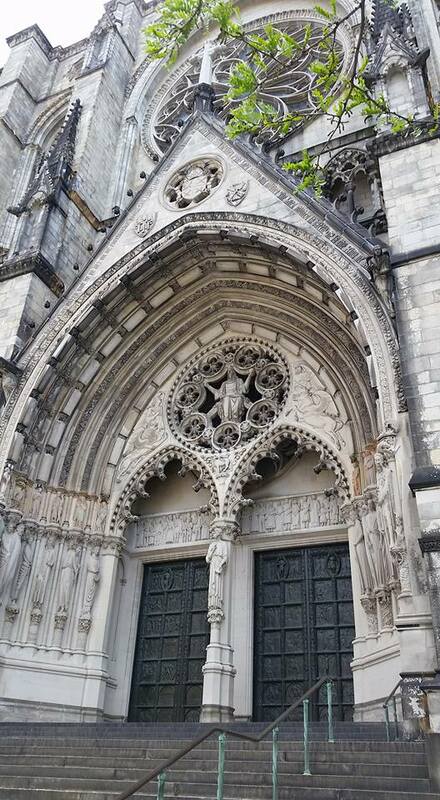 It was a lovely landmark to see. We’ll be taking a look at some more Muppet-related locations, visiting some conventions, workshops and meeting some more puppeteers as well. So stay tuned. 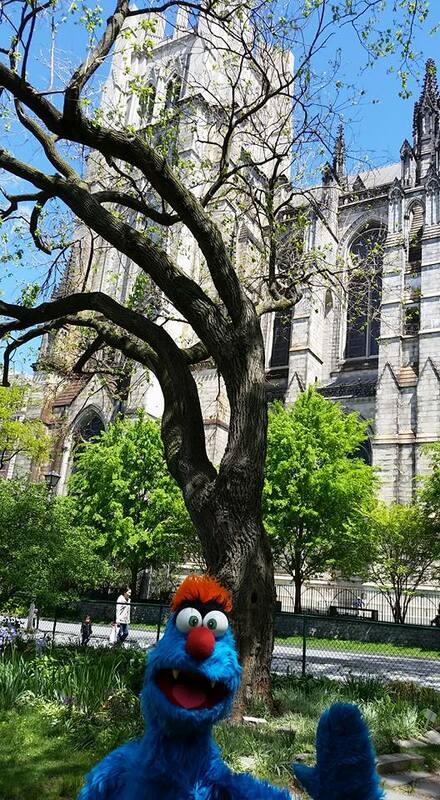 For more photos of Larrikin Puppets in the USA, please have a look at the ever growing album of images on our Facebook page. Click ‘Like’ while you’re there! 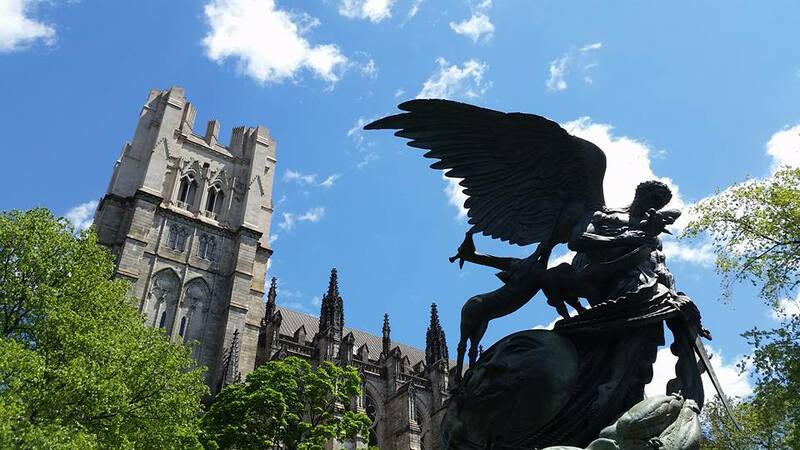 We’ll leave you with another video from the memorial service at the Cathedral Church of St. John the Divine in 1990. 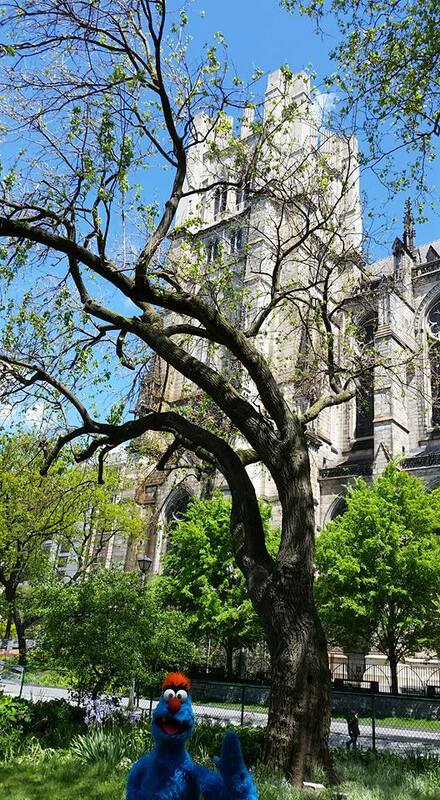 It’s Big Bird singing, “Being Green”. We miss you, Jim! 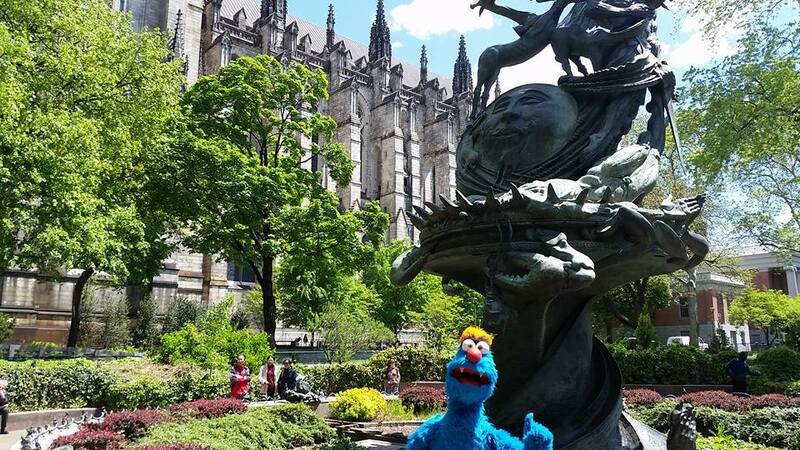 This entry was posted in 1990, 2016, Being Green, Big Bird, Cathedral Church of St. John the Divine, children's entertainment, Film, Fraggle Rock, Happiness, Henson, Jim Henson, Jim Henson Memorial, Jim Henson Memorial Service, Just One Person, Kermit the Frog, kids' entertainment, Larrikin Puppets, Larrikin Puppets News, Life, Love, Manhattan, Music, New York, New York City, NYC, Puppeteer, Puppetry, Rainbow Connection, Sesame Street, The Muppet Show, The Muppets, Tribute, Troggg, TV, USA by Brett. Bookmark the permalink.